Good fitting sweater vest. Not too heavy and warm; not too thin and light weight. 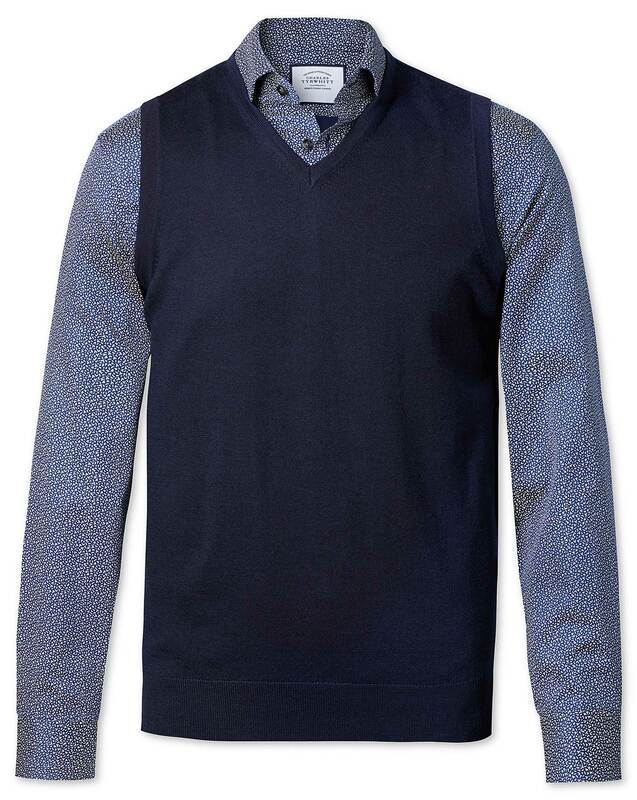 Fits perfectly under a sport coat or blazer. Good detailing around the neck and arm holes. Good fit. Others comment on the style.